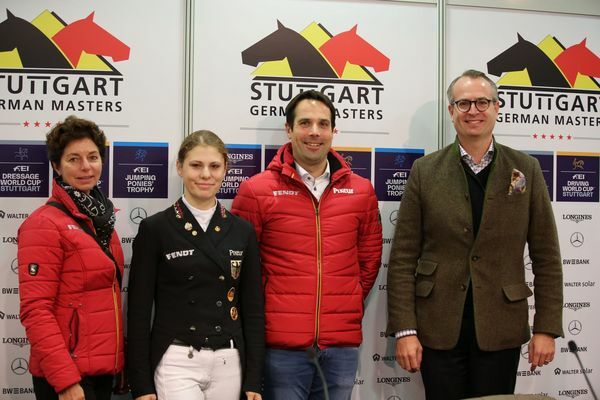 Stuttgart – Comfortable win in the warm-up class on Thursday and another easy victory on Friday in the final: the 21-year old Jil-Marielle Becks was the dominant rider at the 34th International STUTTGART GERMAN MASTERS Horse Show in the Prize of the Liselott Schindling Stiftung – a competition designed to promote dressage excellence amongst young riders in Germany. 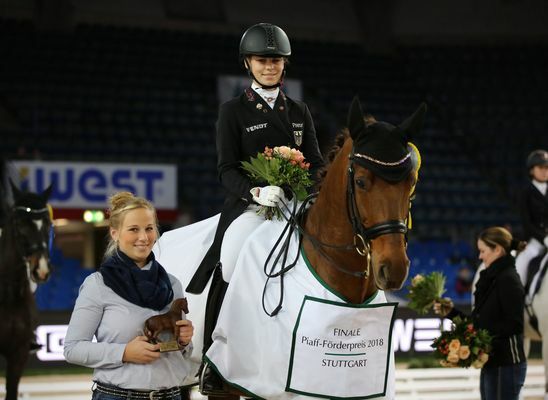 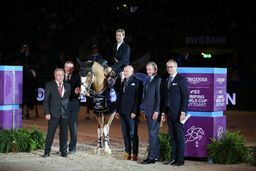 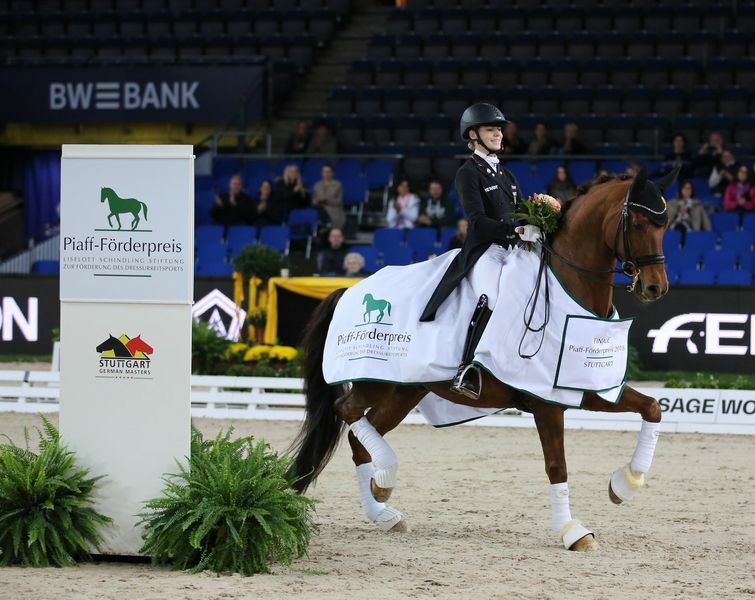 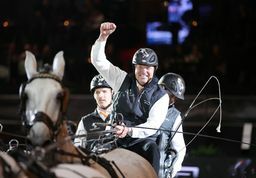 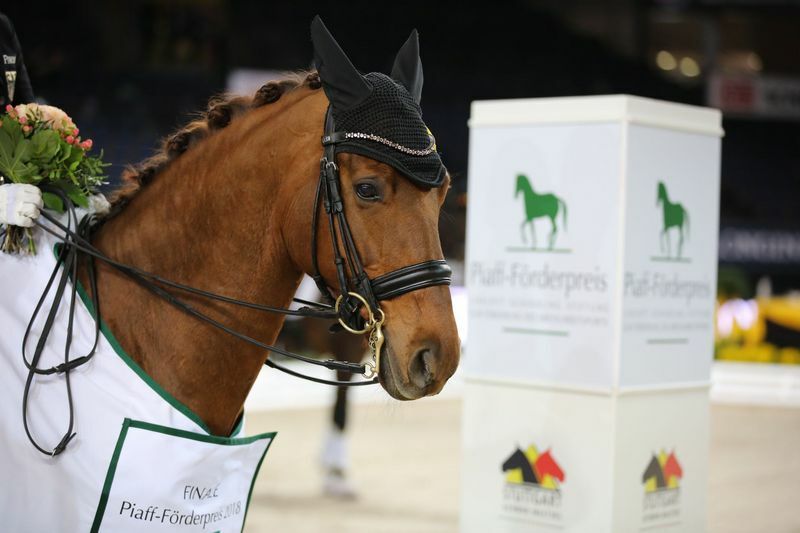 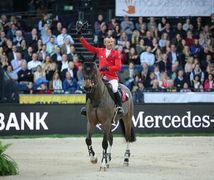 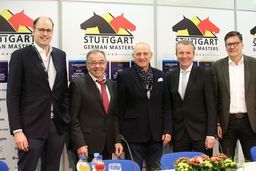 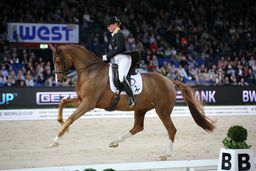 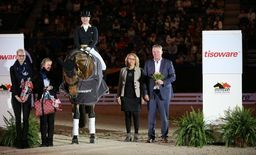 The U-15 individual and team European champion and silver medal winner in the freestyle was awarded 73.320 percent points for her display in the Hanns-Martin-Schleyer-Halle on the home-bred ten-year old Westphalia gelding Damon’s Satelite NRW. 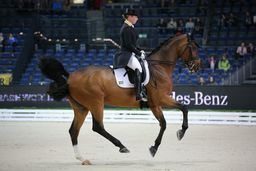 Florine Kienbaum and her Doktor Schiwago, a 14-year old Hanoverian gelding, came second (70.160) followed by Anna Magdalena Scheßl who saddled up the Westphalian stallion Biedermeier (68.680).